This DIY Lady has a real DIY result on the blog today! Yay! As most of you know, I wear maternity jeans because they are the most comfortable while on the wheelchair. No buttons, no hassle. Welp, I didn't really find that many maternity jeans that had the worn /torn/shredded look.. and the ones I found just uhmm.. were always above the price I wanted to spend. Anyhoo, fast forward to a couple of months ago, I bought a jeans, and when I got home, I found out I had the same exact jeans already... in fact, I had two of the same kind ALREADY! So the one I brought home made it 3 of the same kind AND color of jeans! Interesting uhn? They were purchased from different stores too. I have no idea how I didn't know they were the same. I chose not to return the jeans because I told myself I'd transform them. Transformation never did happen till a couple of weeks ago. I chose to experiment with one of the 3 jeans, and I liked the result enough that I styled it simply and wore it out this past Saturday. The jeans were blue and I DID try to bleach them, but THEY DID NOT BLEACH and stayed the same COLOR. I'll have to bleach one of the other two.. or maybe this same one with a stronger bleach. Lol..
Once I cut the small line, I used my hands to rip the line into a bigger line and then pull out some of the threads with my fingers. It was the easiest thing I'd ever done to transform an outfit. Cut a line, use your hands, rip rip! For the lines closer to each other, you want to be gentle not to rip into each other, but then again, THAT also might even be a cool effect. I'm very thankful for the lovely people at my church who take pictures of me when I want after Choir Practice on Saturdays. LOL. I turned on my best poses and Voila! And Below is a BIG KISS for you all. Seriously straining to make sure the kiss gets to YOU!!!! To get the hearts on the Jeans, I used a white nail Art Pen. Seriously NO LIE! One of those pens that have the brush on one end and the tip on the other end. The Nail Art Pens were purchased from ebay and you can see how they look in THIS POST. I also folded the bottom of the jeans on my own. These were ankle length jeans. Cool story: After I tore and drew a couple of hearts on one side of the jeans (the right leg), I didn't really like the hearts being random, so I threw the jeans in the washing machine to see if that would wash off the hearts but it turned out that the hearts STAYED put! I also realized that washing the jeans made the tearing look really TORN.. WORN... SHREDDED.. and not forcefully torn, which is amazing, and the LOOK I was going for. I tore the left leg and didn't wash the jeans before wearing it for this pictures. Just a hint for anyone out there who wants to DIY. WASH the jeans after tearing them. And use your hand to tear after starting with a scissors or razor blade. If you want an up close look at my Face of the Day and for a detailed review on the amazing All in One Mineral Foundation by Bella Terra Cosmetics I used to get this near flawless face of mine, please check out yesterday's post by clicking HERE. Have you ever done this before? A DIY Torn Jeans? Share with me. It's so easy and fun I have to control myself not to make more. Hahaha. Today I have a makeup review for you. It's a Mineral Foundation/Powder by Bella Terra Cosmetics and the shade I'm reviewing is Chestnut because that's my skin color. When I got this, I was pretty excited to try it out. I have used mineral powder before, but the one I used had a chalky finish to it and I just couldn't find my skin tone without mixing almost 2 shades together. It was a hassle so I just gave up on them. Bella Terra's Mineral Foundation provides sheer, micro-fine finish that allows true skin tone to shine through while providing flawless, even coverage. Well, when I saw that they said this one foundation could do all those things, I was certainly very happy and eager to try it out. I used just my Real Technique Expert face brush for application and here's the result below. To show you the true transformation, I debated looooonnng before posting this before and after face picture. Lol.. But I love real reviews, so I went ahead to take pictures of my face before using the foundation and after. Look below: On the left, my face after using the foundation. On The right, My Face after just defining my eyebrows with a Eyeshadow Primer. I have some dark spots on my face and I was pretty amazed by how well this foundation covered them up without me having to use a separate concealer. This Bella Terra Cosmetics Mineral Foundation really proved to be all in One. Again, It's ALL I have on my face. No Concealer, no additional loose powder on top. Just the Mineral Foundation in Chestnut. It felt light on my skin, and blended well on me without looking cakey or like a mask. I love that! I have mentioned times without number on my blog that I use MAC powder in NW45. I love my MAC powder, but sometimes I have to use a concealer for my dark spots before using the powder. This Bella Terra Mineral Foundation gives me a lovely glow and again, it covered up all my dark spots and evened out my skin!!! That alone makes this a WIN for me!!! And in case you're wondering what the Foundation looks like on the face in direct sunlight, look below.. Total flawless skin! (I'll be blogging about this OOTD below soon, so stay tuned). This picture was taken about 4 hours after I applied my mineral foundation. It was still intact and I did NOT touch up for the pictures (just used a different lip color). P.S: I also have Bella Terra Products on my lips and eyes in the Indoor Pictures. I'll be blogging about their pigments that can be used as eyeshadow, lip color, nail polish and lots more soon. 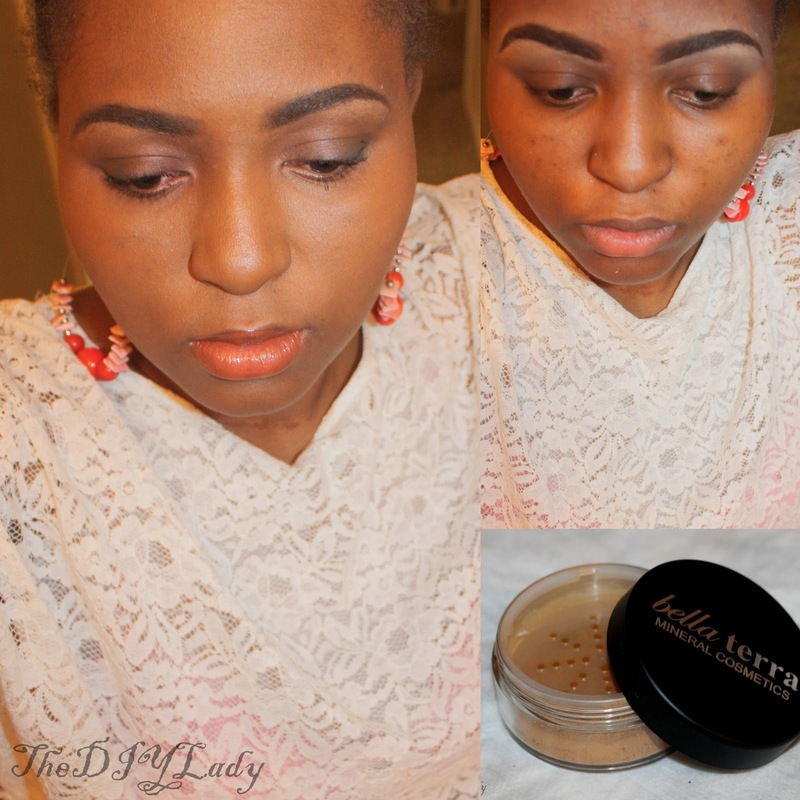 If you're interested in this Mineral Foundation by Bella Terra, please CLICK HERE. There is shade for just about every skin color and I guarantee you will love what you get especially if you have spots on your face you'll like to cover. Mineral products are good for your skin. Aside from the fact that this is a mineral product, I love that it covers dark spots! Certainly a WIN! It's not heavy on the face! Another WIN. I must mention, when I first applied the foundation, I felt like it was lighter than my skin color, and a little "creamy" even though it's in powder form. But I kept my cool and blended it all over my face with my makeup brush. And I kid you not, after about 3 minutes, all I was left with was near flawless skin. The pictures above are true and all on the same day. If that doesn't speak well enough about this Mineral Foundation, I don't know what else will my loves. Stay in touch with Bella Terra Via their Website, Facebook, and Twitter pages. How are you fine peoples doing today? Welp.. This DIY Lady is pretty excited about today's post. Yep Yep! I have a review of a product I am very pleased with for you all today. Since you are on my blog, I'm sure you know my hand is kind of like the center of this blog, and bad looking hands aren't exactly what you come on my blog to see... right? I have been doing well with my hand care for a while now, but there are days when my hand look so mehh that I just don't even bother blogging about the polish on my nails. Seriously! 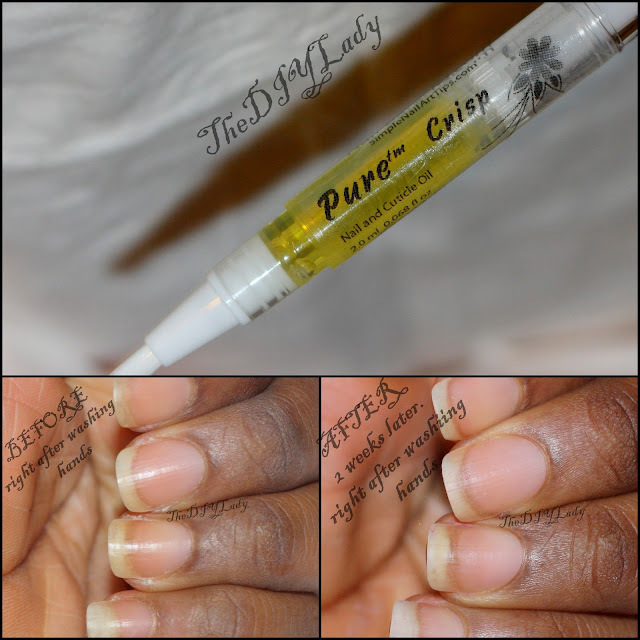 Fast forward to when I discovered Pure Crisp Nail and Cuticle Oil by Nail Care HQ. It comes in a pen like device that makes it easy for you to carry it around and apply on your cuticle whenever you choose to. Here's a before and after Collage I've made of my result with this Cuticle Oil. On the bottom left is my hand after washing. On the bottom left, my hand also immediately after washing but after having used this cuticle oil for 2 week. Do you now understand why I am excited to share this with you? I don't cut around my cuticles or trim them, so NO, I didn't do any trick you might be thinking of. Here's an up close of the cuticle oil in its pen like device. Remove the cap and there is brush that makes for easy application. Here are my nails/cuticles right after washing them before I ever used this cuticle oil. To apply the cuticle oil, you scroll up the bottom of device to dispense a small amount of oil that you can then use to brush over your cuticles and nails. Here are my nails after application for the first time. So much oily goodness. And ... I sat down, allowing the oil to seep deep in my skin instead of just rubbing it in. I quickly whipped out my camera for another picture after about 10 minutes. I realized my skin was absorbing the oils and my skin actually started looking better than it did just a few minutes before. At this point, I wanted to see how long it would take my skin to fully absorb the oil and if there would be any change.. so after about 35 minutes of watching some TV shows, I look at my hand and this was the result! Same HAND I showed you in the before picture, and on the same day... No more dry skin, and my cuticles look happy. Based on that one day result, I was certainly motivated to continue using this cuticle oil... After about a week, I saw that my hands and cuticles don't actually LOOK dry after washing them like they used to. So I continues using the oil and about 2 weeks into using it, I took a picture of my hand right after washing it. Quick, scroll back up to my BEFORE picture... Can you believe this? I don't fawn over many products, but this cuticle oil is amazeballs!! A little bit of oil goes a long way, so no need to roll up a huge amount of oil to cover your whole hand. Just use the brush for application and watch the oils seep in your skin for a lovely result. Some of the ingredients in this include: jojoba oil, grape seed oil, olive oil, essential oil blend, vitamin A, vitamin E, and tea tree oil. I am happy with this and YES, I'll have to buy another when my current one finishes. When it comes to products like this, I wish I bought it my money so that people don't think I'm reviewing it positively because it was provided for review. But believe me, if you have bad cuticles, flaky hands, and skin.. this product will work for you. I didn't really follow the steps on the Pure Nail Care Website, but my result is fabulous. I applied the oil whenever I felt like it, which totals about 2-4 times a day. I also love that it's small and fits in my makeup purse perfectly, so I can carry it around with me. So darlings, if you're interested in this cuticle oil, please CLICK HERE to go to their website to make your purchase. 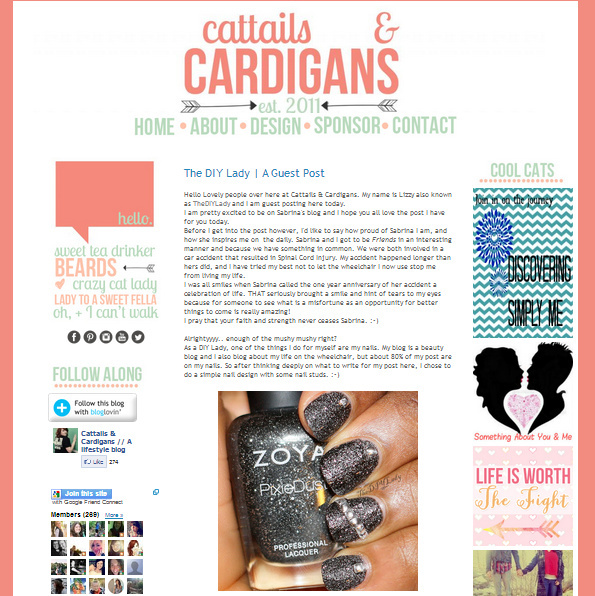 Ana also has lots of helpful Nail Care tips on her website so look through them sugars. Press Sample, Opinions are 100% mine. 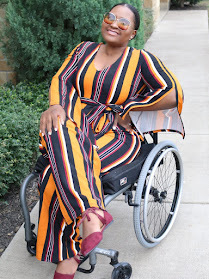 Today I have a quick post with the Outfit I wore to my friend's wedding this past weekend. The wedding is in Atlanta, and I'm still here for the moment. Been in atl before so it's nothing new, but I must say I love being here in the summer, every other time I've been here was in freezing cold weather! Ughh..
My friend who got married LOVES Pink, and so the colors for her big day were pink and gold. I brought a variety of pink polishes with me to ATL and chose China Glaze - Hang-ten toes for my mani of the day. This polish is sooo bright!!! So so so bright and I LOVE IT!My camera also captured it well and didn't freak out, Now that's a very wonderful thing. lol.. I added sinful Colors - Shine on me for an accent nail. Next up, my makeup... And outfit. My Friend is a Nigerian, and she chose what is called "Aso-ebi'. Her close friends wore the same kind of fabrics and sewed whatever style they wanted with their fabrics. My Tailor sewed mine to perfection and I LOVE the style so much. The fabric is called Ankara. Makeup: I blended gold and pink for my eyeshadow. 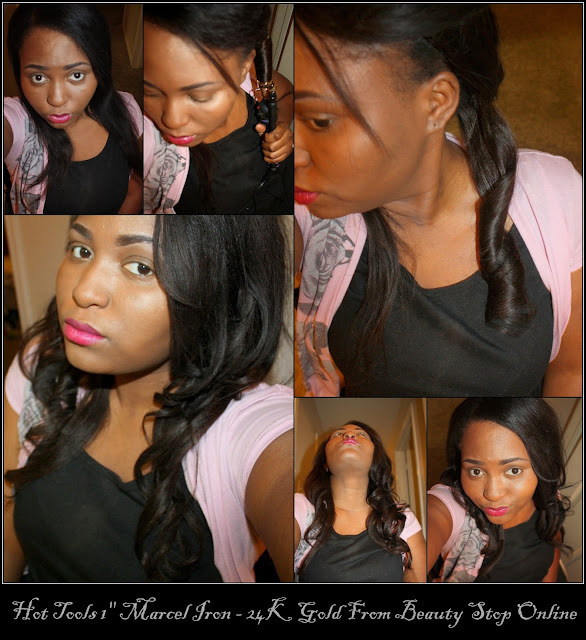 My hair was a quick fix, an high bun. And more pictures of my face and hair.. I took this picture AFTER the party and my eyeshadow was still on point. Other details, feel free to ask me in the comment box as I'm being lazy to list them all. 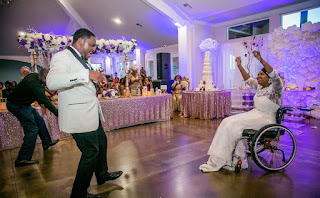 Lol..
Do you love wedding? Share with me.